The series of lynchings, first in Assam and then in West Bengal, suggests that the country is facing a serious crisis in law enforcement. Vigilantes are now taking law in their own hands and delivering instant justice. The sad thing is that the innocent are killed because a mob decides they are guilty. Social media and the rumours it helps to turn viral is at the root of the problem today. That even the most educated don’t think twice before forwarding a WhatsApp message, only suggests that social media is a huge challenge. It could start a communal conflict and perhaps even a war! Social media is meant to be handled responsibly but not when it is accessible by unthinking juveniles and agent provocateurs. WhatsApp Inc was founded in 2009 by Brian Acton and Jan Koum, both former employees of Yahoo. They could never imagine the disruptive power of the beast they unleashed. Neither did Mark Zuckerberg and his team when they introduced Facebook to the world. Pioneers like the ones above believe they do humankind a favour by connecting them across oceans and lands. But like those who invented the atom bomb and other weapons of mass destruction, Acton and Koum too never imagined the harm that social media is causing today. In two states of the North-east — Meghalaya and Assam — the Internet was barred for a fortnight because it was WhatsApp messages saying that child lifters were in the vicinity that led to the lynching of two Assamese artistes in Karbi Anglong. In Shillong it was a fake message that escalated social tensions on 31 May-1 June. One of the benefits of the digital age is its ability to facilitate social communication and bridge the physical distance between humans. It is a platform for businesses; for professionals to close deals; for political leaders to discuss urgent matters via Skype across continents and for academicians to conduct their research and reference their thesis from a larger body of work and range of authors. Banking transactions and purchases today happen online. We are all Internet dependent and it is the oxygen of modern life. Journalism would be unthinkable without Internet connectivity. Keeping in touch with the world is as important as losing oneself in one’s work in some obscure backwaters. When this spectrum-delivered oxygen was temporarily suspended, we found ourselves ill at ease and lame. Thankfully broadband connectivity allows us to receive and send news and I guess many companies too are not so badly incapacitated but those dependent on data packages are. One wonders why people are inclined to believe WhatsApp messages as Gospel and forward the raw content while they rave and rant at a single error in the print media. Actually, it’s all about the narcissistic need to be the first to get the news and also the first to forward it to a friend who might not have received the message/video. It’s that sense of trumping mainstream journalism that is addictive. If television news channels can brainwash us 24×7 with their breaking news, then what’s so wrong about breaking news via WhatsApp? The difference is that in the mainstream media there is still that last vestige of an editor who is supposed to scan the news and check its veracity. Social media has no editors. Every person who owns a smartphone today is a journalist on the go, although I don’t know if social media messaging is journalism and if not, then what do you call it? That a social media message can trigger riots and also be used to demonise individuals by the stratagem of “confirmation bias,” and to also then make it easier to harm the individual/individuals, is in itself a scary proposition. But it is happening all the time. Every society has its share of hotheads in the garb of nationalists and sub-nationalists who claim to want to save their race, culture, heritage and economy. I am not sure if a social media campaign laced with hatred is the way to achieve any goal. If people have to be mobilised to do violence then the intent itself is self- defeating. A riot of any kind or an abnormal situation where curfew is necessitated always hits at the poorest who may be the very people whom the jingoists trumpet they are trying to save. An abnormal situation hits at food security, since in a state like Meghalaya, which imports nearly all essentials, a week of discordance will ensure that goods don’t arrive as they should. The next thing is an upward spiral in the prices of essentials as governments have very little control over prices except of those distributed through fair price shops. The impact of social media and its propensity to throw life out of gear has been experienced by the people of Shillong and by extension the whole of Meghalaya since 31 May. Even now, the biggest wholesale market of Shillong, the Iewduh (Bara Bazar), has to wind up early because curfew is relaxed around that area only up to 6 pm. It is a place where products come from the rural outback and are marketed vigorously. This market became a ghost area for at least four days. Fish vendors said they had to throw away hundreds of kilograms of fish, which had rotted. So too did vegetable vendors. But such perishable goods are not insured against riots. Tourism, which is a clean industry and one that suits Meghalaya to the t, has suffered disruptions. This is the time when tourists arrive to watch the rains but it will take a while to assure them that all is well and “normalcy,” as they say in official jargon, has returned. In Assam, where social media was the trigger for the lynching of innocents, the danger is that anger against the vigilantes could result in another round of WhatsApp messages seeking to avenge the death of the youth by causing harm to innocents of the tribe, whose members caused the lynching. 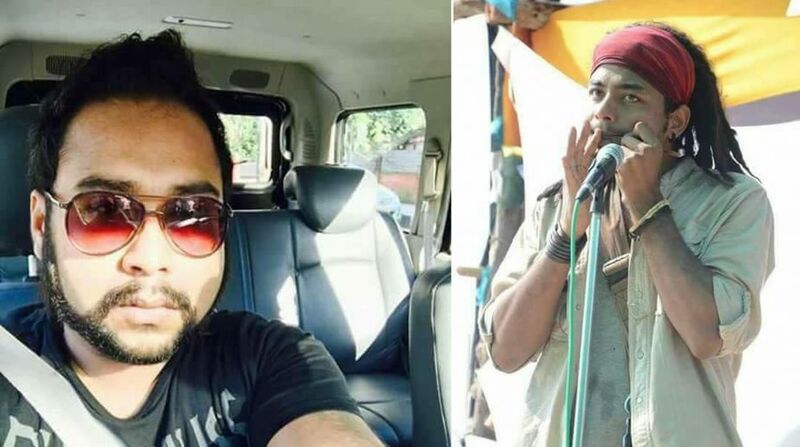 Thankfully, the civil society of Assam including artistes like Zubeen Garg have come forward to plead for peace even while demanding justice against the perpetrators of this inhuman act. It is such an enlightened way to douse the flames of inter-community conflicts. Social media is a powerful agent for spreading and reinforcing radical ideologies. Sadly its ability to counter such radical viewpoints remains under-utilised. The Prime Minister of this country is a great proponent of social media because of his inherent distrust of journalism and journalists, except those that endorse his views unquestioningly. This is where the danger lies. Donald Trump’s scorn for CNN and his open rebuke of its journalists is a case in point. This is a new trend where journalists are openly upbraided for reporting what politicians prefer to hide. In India today, no media outlet is in a position to question Narendra Modi because he will not take questions unless they come from a friendly media. Isn’t this a threat to democracy since a critical analysis of the government and its performance is no longer possible in popular media? And because the news channels are largely co-opted, people have decided they could get more authentic news from web news portals or from friends who forward them their daily dose of news via WhatsApp. These are dangerous trends and we don’t seem to have a remedy since free speech is part of the constitutional mandate. And individuals and websites that deconstruct fake news are unable to cope with the millions of such news emerging by the minute. To compound the problem, our governments don’t have the wherewithal to deal effectively with cybercrime and fake newsagents. Clearly, we are in for bad times ahead if cybersecurity doesn’t become a priority in this country.